Serving the Engine and Generator Industry since 1955! Big or Small, We Do Them All! We excel at finding and correcting un-explainable engine behavior! Sales & Service and we offer pick up and delivery on Cape Cod! REPAIRS DONE ANY DAY ~ ANY TIME! Free WiFi and clean restroom for your convenience! Any Size GAS / DIESEL ENGINE EQUIPMENT SERVICED! 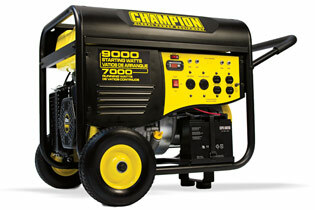 Sales and Service of these fine Generators, Chainsaws, and Lifts! Our service is available with just a phone call, or stop by the Engine Room! Lawn & Rider Mower, Chainsaw & Snow Blower Repair is a specialty! and locate hard to find engine parts and construction equipment for sale. If Dave can't make it run, it's all done!